Like a small crack in a windshield, a road to the Ambler Mining District could send consequences throughout the vast tracts of intact wildland this proposed 211-mile industrial intrusion would traverse. For a glimpse at the potential ramifications on wildlife, we need look no further than birds. Long recognized as indicators of ecosystem health, birds serve as a window through which we can see many hidden consequences of a road to Ambler. Many existing roads were built with little regard for their impact on flora and fauna, as road construction predates modern science and the contemporary conservation movement. However, since the outset of that movement in the 1970s, research into the impact of roads on birds has grown substantially, leading to identification of new and increasingly intricate threats facing birds. A review paper from 2016, which meticulously combed through all relevant published research, identified reduced bird densities extending 0.5 to 2 miles on either side a road. Applied to the proposed Ambler Road, this translates to a conservative estimate of approximately 57,000 hectares of impacted bird populations. However, based on the upper end of the estimated distance impacted and the longer proposed 250-mile alternative, the maximum impact could be more than a quarter million hectares of bird habitat. Among these effects are obvious impacts on birds, such as habitat destruction and mortality due to vehicle collisions. More complex threats may prove the most damaging, and are worth taking the time to understand, especially where certain birds of conservation concern are involved. For example, the factors contributing to the breeding success of three species — the Lesser Scaup, White-winged Scoter and Horned Grebe — were researched by graduate students at the University of Alaska Fairbanks in the Yukon Flats National Wildlife Refuge. This refuge covers an area similar to that which would be impacted by the proposed road to Ambler. The researchers found that two factors have the most effect on the breeding success of these three waterfowl species: the availability of lakes larger than 25 hectares, and the density of Amphipods, a favored type of invertebrate prey. A quick glance at a map of the proposed road shows almost all of the large lakes in the area to be within a couple miles of the road. The few overall number of large lakes and their proximity to the road would put large populations of these declining species and the prey they rely on directly in the path of industrial pollutants the road would bring. Absent a direct spill of contaminants into these lakes, the most impactful pollution on these birds is likely from noise. Mining, and the transport of large mining equipment, are unavoidably noisy. This added stressor may have both direct and indirect effects on birds. A few studies shed light on how noise impacts birds. In one notable experiment, a phantom road created by loud speakers replicated a highway soundscape in an undeveloped area. The results were remarkable: an otherwise premier natural area held significantly fewer birds of all ages and many species. Invertebrates have also shown negative reactions to sound in both terrestrial and aquatic environments, meaning the Amphipods birds rely on to raise healthy young may also diminish in abundance. None of the multitudes of threats facing birds, however, exist in isolation. In combination with pressures unrelated to the road, like global warming, habitat loss, and changing species distributions, a lethal synergy is created. This decreases population density and species richness more rapidly than the sum of each individual threat. A road like this is unlikely to remain a single crack in the proverbial windshield of this intact landscape for long. With proposals already on the books for more roads branching out from this original project, the single crack of the Ambler Road has the potential of a chip in a windshield to creep outward until very little of the habitat is recognizable to the wildlife that calls it home. 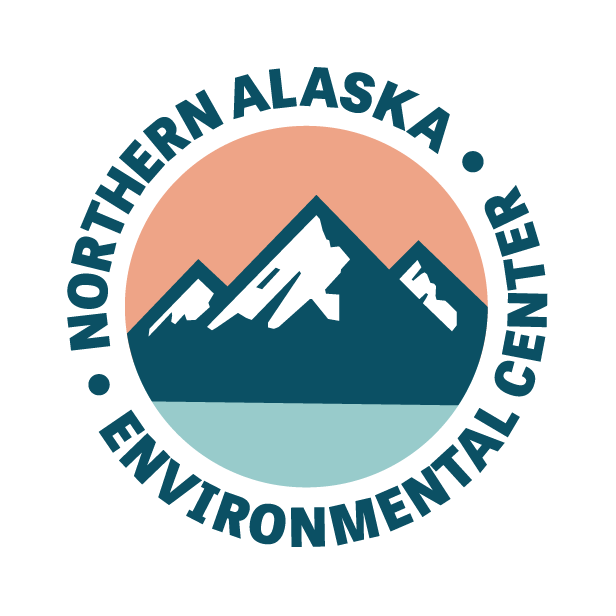 Nick Newberry worked as a Field Technician for the Alaska Department of Fish and Game for the summer of 2017 researching the life history of the Olive-sided Flycatcher, and volunteered at the Northern Center.